Q. I would like to enroll and start your service. What should I do? A. 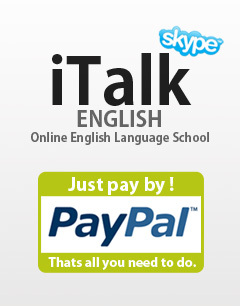 You must have Skype installed on your computer and you must be registered on iTalk English Web site. A. Skype is IP communication software that can be downloaded for free on the Internet. Skype-to-Skype calls are for free. You can enjoy the calls and video calls without worrying about fees. Also, you can make local and long-distance calls to landlines and mobile phones at a low rate. If Skype is not installed on your computer, please download and install its latest version from Skype’s official Web site. Kindly follow the instructions on how to install it on your computer. Kindly remember,your Skype ID is your iTalk English ID. Q. How can I register in iTalk? Please fill in the required information on our Registration Page. You are allowed to take two free trial lessons. After registration, you will immediately receive a notification email to your email address. Once you click the authentication URL, it will take you to iTalk English Web site and inform you that you have completed the registration. Then, go to the Lesson Reservation Page and enter your ID and password, then you can now start booked lessons. Q. What do I need to get started at iTalk English? A. You will need Skype, a PC, an Internet connection, and a headset. A webcam is also recommended especially for beginners and kid students. Q. Do I get charged other than lesson fees like the communication fee? A. You are not charged for the communication fee. An Internet connection is needed at your side. Skype is free software. Q. What are your business days and hours? A. iTalk English is open all year round, twenty-four hours a day except for important holidays such as the New Year's Day, Christmas Day, the Philippine national holidays, and our school holidays. iTalk English’s closed days are regularly updated on the Student’s Page (My Page). Q. Do you substitute lessons for closed days of school? A. There are no substitute lessons for holidays such as Christmas Day, New Year's Day, and other Philippine national holidays. Q. Do you charge at the time of registration? A. No, you are not charged at the time of registration. You do not need to choose the method of payment at the time of registration either. Q. How do you handle registration information? A. Your registration information is handled confidentially. Q. Do you have a free trial lesson? A. Yes, you can take two free trial lessons. Please register on our Registration Page. Q. Can I delete or change the registered information? A. Yes, you can change the information. You can edit your profile located on the Student’s Page(My Page). If you decide to delete your registration, this will be considered as membership cancellation. So please cancel your membership from the online form on the Inquiry Page. Q. I received the incomplete subscription payment notice from PayPal. How can I resume the plan? A. First, go to PayPal to find out what the problems are. (For example, your credit card has expired and so forth). Kindly remember that PayPal’s standard payment processing requires at least three business days. That being said, iTalk English will only receive your payment three business days later or more. Please understand that we cannot speed up PayPal to process the customer’s payment or confirm the payment status. The customer has to follow PayPal’s payment processing policy. If you wish to resume the course immediately by using PayPal, you can do so by completing the payment procedure from our Pricing Page and by registering another credit card on PayPal. This way, PayPal can consider you as a new customer, so your payment will be processed immediately. After that, if you wish to cancel your current plan subscription, your new credit card payment contract will be used thereon. Q. Please explain about pricing and programs. A. Our programs do not have any initial fees. Please see the following for individual plans. Q. Can I cancel or change my course before the term ends? A. You are not allowed to change or cancel the course in the middle of the term. A One Month Course student can cancel or change the course at the end of the term. A pay-by-ticket plan student can renew the course by purchasing additional tickets, but the student cannot cancel or change the course before the term ends. Q. How can I renew my Pay-by-Ticket Plan? A. A pay-by-ticket plan is not a subscription, so you need to renew the plan after the term ends or during the course. If you still have some tickets left, it will be carried over in your new plan. So its expiration date will be six months after you renewed your plan. Q. Can I combine a One Month Course and a pay-by-ticket plan? A. No, you can't. 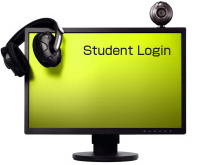 Our school system allows a student to select a One Month Course, a pay-by-ticket plan, or a DME course in one account. You can combine a One Month Course and a DME course or a pay-by-ticket plan and a DME course. You can't combine, however, a One Month Course and a pay-by-ticket plan in one account. If you want to take the other course at the same time, you need to register a different account. You can still use the same email address and Skype name and use a different password for each account. Q. How can I change my credit card? A. Please log in PayPal. Click My Profile located on the top right. Click the Add/Edit credit card button. Please add or change your credit card number. It is possible to change the credit card’s expiration date. But if you would like to change the credit card company, PayPal subscription will be cancelled and you have to repeat the process from our Pricing Page after changing the credit card. Q.What is the cost of materials? A. Students have free access to our iTalk original materials. You can also refer to our wide range of textbooks. It is also highly advisable for the student to consult the teacher for the right textbook to use in the class. Q. Please explain how to reserve a lesson. A. The student can check the teacher’s profiles and evaluation charts and book the teacher’s lessons at least fifteen minutes before the lesson starts. Students with a One Month Course can book lessons for two days at a time. Q. Can I cancel a lesson? A. The student can cancel the class at least one hour before the booked time. You can manage the cancellation on your page (My Page). Q. When are the teachers' available lessons posted? A. Teachers post their available lessons at least two weeks prior to the lessons. Q. From what age can we learn English online? A. We think the youngest teachable age is around four. But six years old seems to be more suitable to start learning English online. Although our teachers are creative and innovative, unlike teachers in regular English schools, iTalk teachers cannot play the games with them physically. A lesson with a kid, who is new to English, might need a support from a family member. Recorded lesson demo of Teacher Jean is teaching to a four year old student. Q. My child is too young to complete a 25-minute lesson. Can a family member take over the lesson? A. Yes. During the lesson reservation, kindly inform the teacher in advance that a family member will take over the lesson or an adult will accompany the kid student. Q. What happens if I can't take the lesson due to the Internet interruption? A. The teacher will call the student to determine the line situation from follwoings. Then the managers will check the situation. If the reason of the lesson interruption was from our side, we will reschedule your lesson once more, by clarification the situation with our Cebu Office. *In case of disasters (such as heavy rain, flood, earthquakes, fire, tsunami, riot, or war in the Philippines) and service interruption caused by Skype, kindly note that we will not be responsible for any of these. Q. What kind of course materials can I use? Q. Do you have other lesson materials that I can use other than books? A. We have many available Original Materials that you can choose from your level and the skills. iTalk teachers can also provide a listening, reading comprehension, vocabulary, video description, or picture description class, depending on the needs or requests of the student. You can also choose the material you want to use in your class. For IELTS, or TOEIC class, kindly inform the teacher in advance. Q. What happens if I am late for my lesson? A. You can still take the lesson if you are only 10 minutes late or less. Later than that, you are considered absent. Q. How Can I cancel a lesson ? A. You can cancel it through your iTalk page one hour before of your lesson. (My Page). Q. I can't speak or understand English. A. We have teachers who specialize in teaching at kindergartens and elementary school. Zero beginner students can learn from the most basics like the English alphabet— ABC. There is no reason to be ashamed. You are encouraged to take lessons even though you cannot understand or speak English at all. If you keep on taking lessons, you will be able to speak and understand English eventually. Speaking English needs practice, so be brave and try it now! A. iTalk teachers always use the webcam unless there is an internet interruption. If the audio quality grows worse, it is better to turn off the camera. Using The camera is very helpful for the students to understand the teacher's explanation. It is also a good and important tool for the teacher to demonstrate mouth movements for clear pronunciation. On top of that, by using the camera, it can make the student feel comfortable that he or she is studying English with the teacher. Having a camera is optional for the student, but we highly recommend it especially for the kids and beginner students. Q. What is Skills Rating? A. It is the evaluation given by teachers to students based on their class performance. The scoring system uses a 10-point scale. A score of 10 indicates excellent work; 5 is considered average; and below 5 indicates a need for improvement. Ratings are kept confidential so only the students themselves can view their own. Teachers and other students have no access to their scores. The raters are anonymous, so the students will not know who rated them. Only the summary of last month's rating is displayed every 5th of the month on the student's page. However, a student must book at least 2 teachers in a month to be able to see his or her ratings. A. Please proceed with the cancellation using the Inquiry Form. Please inform us of your cancellation three days before the current term ends. We provide an eight-day grace period from the date you enrolled, and you can cancel your membership if you haven't taken a lesson within this period. Q. Can I re-enroll after the cancellation? A. Yes, you can. You can continue to use the lesson history if you rejoin within three months from your cancellation. Your iTalk ID is stored for a year after your membership cancellation. Skype is free Internet communication software. For more information, please go to Skype’s official Web site. Q. Can I make a video call? A. Yes. If the student has a camera and is comfortable using the camera, you are encouraged to use it. In case、internet interruption happens, it is advisable to turn the camera off. Q. I can't hear any sound on Skype. A. Please check if your headset and microphone are properly plugged to the port. You can also call Skype’s Echo/Sound Test Service found on your Skype contacts to check your voice quality. Q. How can I add my teacher on Skype? A. If you have a new teacher, please add him or her to your contact list when you receive him or her contact request. Kindly follow the instructions given carefully. Q. I can't hear the teacher, or the teacher can't hear me. What should I do? Are your headset and microphone properly connected? Is your microphone's volume muted? Are you receiving the chat messages from your teacher? Is your teacher's connection status is online (green light)? Q. I don't know how to use Skype. A. Please go to Skype’s official Web site to learn more about it.